Camo cargo kilts are designed with high quality printed cloth material that’s why these kilts are sometimes also known as printed kilts. These camo utility kilts are specially made for hunting purposes or highland games, so if you are planning an adventure, then you should consider buying Camo kilts. These camo kilts resemble a lot with the utility kilts because these kilts are made with the help of an authentic kilt style pleating and 100% pure cotton material. If you want to carry some important items with you during any adventure such as hunting, then two cargo side cargo pockets have been added to the camo kilts. If the items are many, then don’t worry because you won’t run out of space as there are back pockets as well in the camo kilts to provide you the extra space. If you want some adjustments in the hip area, then side buckles are also kept in these camo kilts. What are some popular types of Camo Kilts? Pink Camo Kilt: These kilts are made with 100% pure cotton drill material along with two side cargo pockets to hold important stuff. Digital Camo Kilt: Digital camo kilts are the most updated evolution under combat gear with small color pixel pattern stacked together to form a unique pattern. Woodland camo kilt: These kilts are made to keep woodland styles in view with an attractive print. Tan stitching and original antique brass material are used in these woodland camo kilts. Desert Camo Kilts: Desert camouflage kilts are made with 100% pure cotton material with a kilt style pleating. These kilts are ideal for several occasions, and it is very comfortable to wear. Urban Camo Kilt: These kilts are designed for sports, fashion and rock events and made from an excellent quality durable cotton material. You can also store some important items inside pockets on both sides of the kilt. Camouflage kilts are made with the combination of different materials, colorations, and illuminations. As we have said earlier these kilts are specially designed for hunting purposes, so the pattern printed on these kilts make animals hard to notice. If you are planning any hunting adventure, then you don’t need to hide next time because the unique pattern of the camo kilt will surely make you invisible in front of animals. We hope you have made your final decision about choosing the best camo utility kilt. 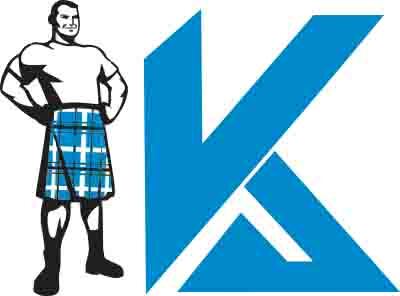 There are some essential things that you should carefully keep in mind before you order your favorite kilt. Size is always a crucial factor while selecting any kilt because a wrong size can waste your money, time and efforts. Make sure that you have provided the most recent and correct measurements about your size while ordering the kilt so that you can avoid all the hassles of money back or replacement in the future. We will highly recommend you to check our size guide; we have provided all the information related to size and measurements.